Do you suffer form chorinc pain that appears to have no medial cause? So many suffer needlessly from pain diagnosed as migraines, tension headaches, fibromyalgia, or chronic neck, back, abdominal, and pelvic pain, when the real cause is Mind Body Syndrome. Using cutting-edge research, this book demonstrates that the underlying reason for much chronic pain is nerve sensitization and learned nerve pathways, rather than actual tissue destruction. Dr. Schubiner has used this new understanding to develop a unique program to actually reverse pain - research studies support the effectiveness of the program. By reading this book, you'll be able to deterimine if you have this syndrome and how to overcome it. 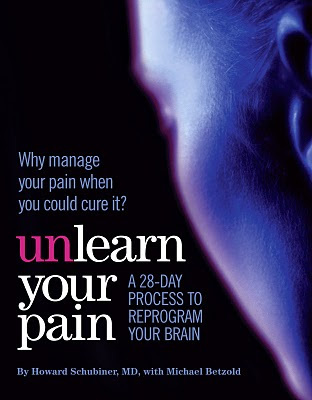 The program in this book gives you therapeutic writing exercises, a meditation CD, and everything else you need to unlearn your pain. I have dealt with a few episodes of chronic pain and after reading this book I realized how to overcome my issues (well, not all of them but the ones that caused me physical pain). My chronic pains aren't a big deal - a neuroma in my foot from running, upper back pain from holding a chubby baby day and night, but reading this book helped me realize why I was having these pains and how to stop them. 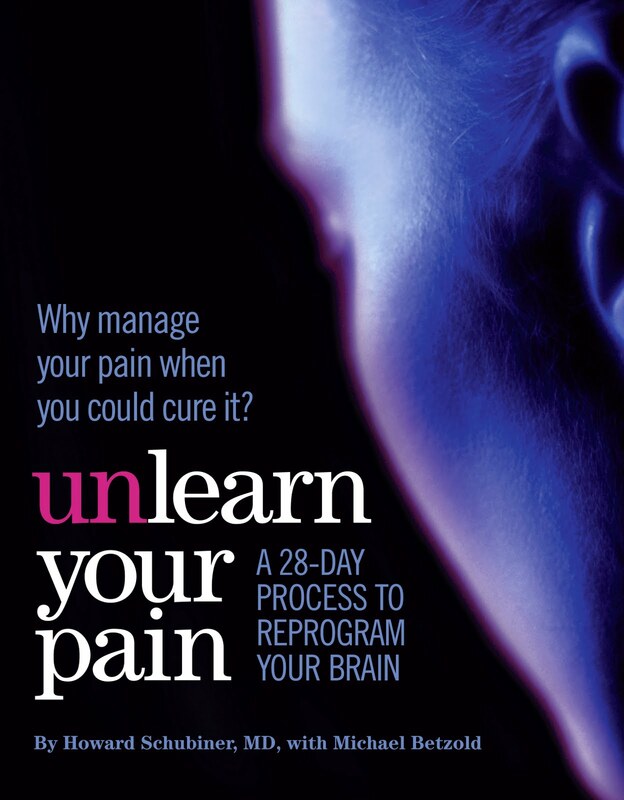 This program truly can reprogram your brain and help you get rid of unnecessary pain. I realize that sounds a bit overzealous, but I hate to see people suffering needlessly. This program is safe, effective, easy to understand and implement, and inexpensive. I recommend everyone read this book and see if it couldn't help you. I'm really interested in this. The concept makes sense to me because I have miralgia parasthesia (caused by pregnancy) and that's what my physical therapist told me--I had to help reprogram my nerves. As it is right now, every time I touch my leg (or my kids do) it sends a pain signal to my brain. Thanks for this info! There is an interesting history behind the Hermes Birkin which began in the 1980s. This label was named after the English actress and singer Jane Birkin who was quite the popular star on French music charts at the time. There are a number of gucci replica legends surrounding this bag. According to one, Jane Birkin was in need of a bigger bag to keep her contents on a plane ride, and the small purse she had was too packed to keep anything else. The bag she unloaded her contents into was a Hermes Designer bag. And so it became popular when people saw her carrying this bag through her trip. Hence the name Hermes Birkin stuck on. Since then there has been such a immense rise in the popularity of this beautiful bag that if one wanted one of these bags from Hermes, they would have to be on the three year waiting list! And there are no guarantees even! It is such a unique and exclusive bag in fact that sometimes even celebrities need to be on these waiting lists. The Hermes Birkin has dimensions of 30cm to 40cm usually but there are the http://www.rowans.co.uk/wp-send.php larger travel sizes available. The cost of course is very high, reaching over twenty five thousand dollars. The bags have a leather exterior with exotic skins and extra pockets in the inside. The interior of this designer bag is just as smooth as the exterior. The Hermes Birkin is a safety installed bag. It has its own security system complete with locks and the key comes in a protective leather case. Another reason for the high price are the 24k gold plated palladium made hardware. Some people who do not like the look of gold can also opt for the silver coated one with various finishes. They are truly the superior trend in fashion and the glory of the Hermes brand is incorporated in this unique designer bag. It is the symbol of the affluent and carries an exotic charm about it. The design of the bags are always elegant and classy and keep changing with the times to make them more and more contemporary and artsy. Hermes itself is a brand of much stature and the root of much of prada replica fashion trends. Hermes keeps up a good reputation each year to provide the best leather bags all over the world. The name has always been associated with pop stars and fashion icons who have given pride to this already famous brand name. Cari Bandar Judi Bola Online, Live Casino Online, Slot Game Dan Poker Online?